At the end of the 1950s and beginning of the 60s, the city of Salvador went through a series of transformations that definitively marked its cultural history and, in a broader sense, that of the country. 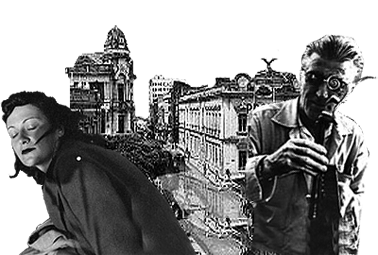 These transformations would, years later, have direct consequences on movements such as Cinema Novo and Tropicalism. The driving force behind these transformations was the revolutionary experimentation happening at the Universidade Federal da Bahia (UFBA) (Federal University of Bahia). The reforms undertaken by its visionary rector Edgard Santos enabled a profound renewal of the city’s cultural life and generated a new wave of intellectuals and creators, whose work continues to be instigating and innovative to this day. With the planning and efforts of its rector, the UFBA reforms brought new perspectives to its students in areas such as music, theater, philosophy, history, the arts and dance. With this proposal for renewal, Edgard Santos was able to articulate various fronts for thinking and cultural action in the city around the university. Among the collaborators and teachers at UFBA was a string of artists and international thinkers committed to avant-garde ideas and experimentation. Principal among them were the Italian architect and designer Lina Bo Bardi (director of Bahia’s Museum of Modern Art, but working in tandem with the university), theater director Martim Gonçalves, Swiss musician and visual artist Walter Smetak, the famous German maestro Hans J. Koellreuter, Portuguese historian Agostinho da Silva and the Polish contemporary dance teacher, Yanka Rudzka. In addition to these professionals, and amateurs such as the journalist João Ubaldo Ribeiro, the young Glauber Rocha, Caetano Veloso, Maria Bethânia, Gilberto Gil, Waly Salomão and Tom Zé, the anthropologist Vivaldo da Costa Lima, philosopher Carlos Nelson Coutinho and many others were active frequenters of the university’s daily life. Their subsequent work positions them as representatives of a Bahian intellectual milieu, whose activities spread from the UFBA and the Bohemian and cultural circles of Salvador to the greater world outside. Spaces such as Bahia’s Museum of Modern Art worked in continuous partnership with their students, through the figure of Lina Bo Bardi. Intellectuals writing for newspapers, such as the Diário de Notícias, published articles in magazines like Mapa and Ângulos or took part in the film clubs of critics such as Walter Silveira and became frequenters of the university environment, taking part in classes and seminars. Lastly, artists already conversant with the African traditions of Bahian culture – among them the painter Carybé, sculptor Mario Cravo Junior and the photographer/ethnologist Pierre Verger – found new spaces for reflection and debate in initiatives following the example of the Centro de Estudos Afro-Orientais (CEAO) (Center for Afro-Oriental Studies), directed by Agostinho da Silva. This climate of collective action, with meetings in the city’s bookshops, theaters and cinemas, helped in the formation of what Brazilian cultural commentators would later call the “Bahian group”. 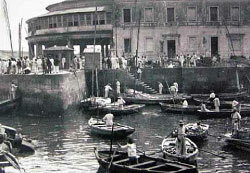 Antonio Risério, another intellectual of the period, called it the “Avant-Garde in Bahia”.